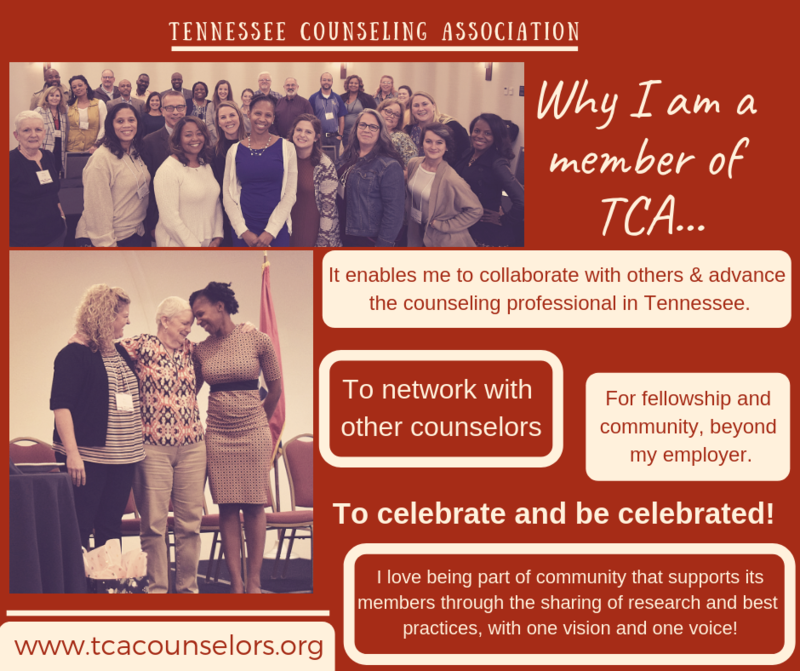 TCA was founded in 1957 and we are a branch of the American Counseling Association. We are, by far, the largest professional association in the state. 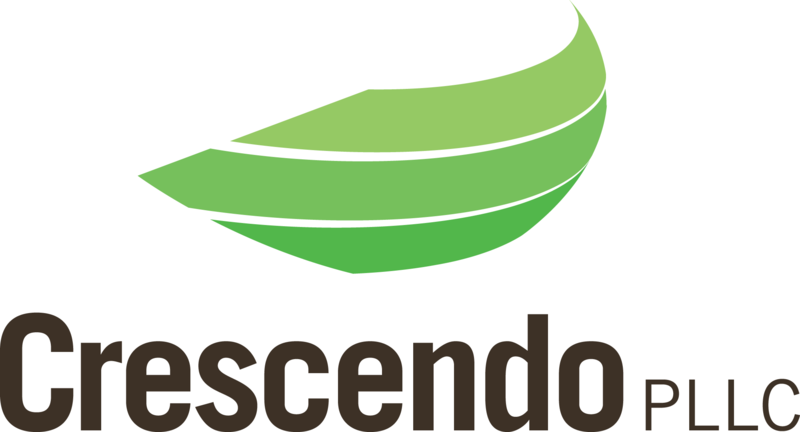 We offer our members many valuable networking opportunities each year and we host an annual conference each November. The TCA Conference 2018 marks our 61st conference. In addition to the state organization, we have local chapters throughout the state which are organized geographically. Local chapters meet frequently to provide members with the latest news about their profession and many chapters host workshops in which members are able to obtain CEU’s close to home and at very reasonable prices. TCA also has many divisions which are divided into areas of interest specific to your field. 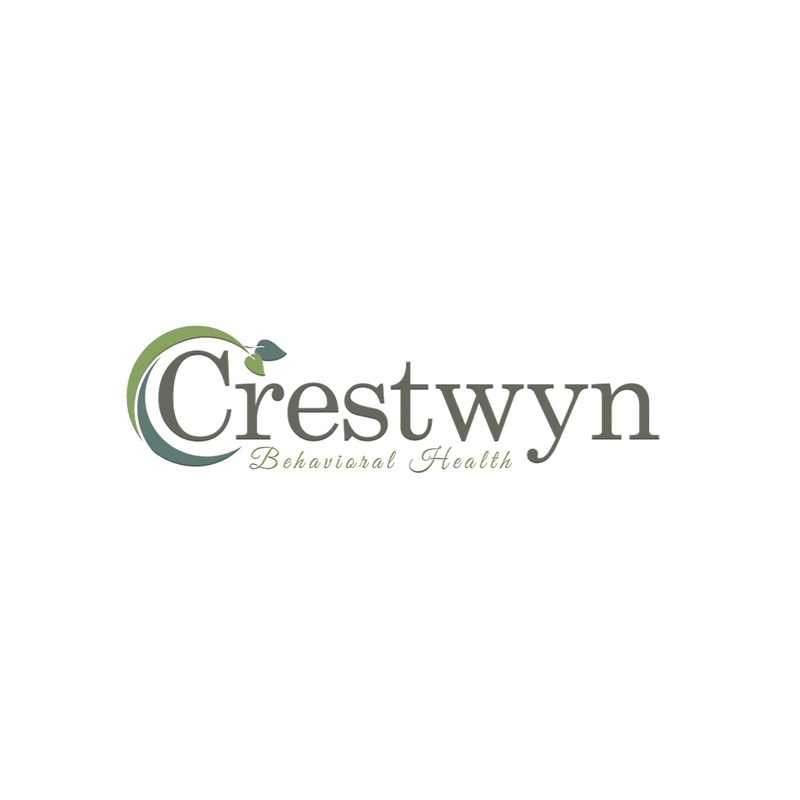 Our largest divisions are TSCA, Tennessee School Counselors Association, and TMHCA, Tennessee Mental Health Counselors Association. There are many other divisions which you can find under the tab above. 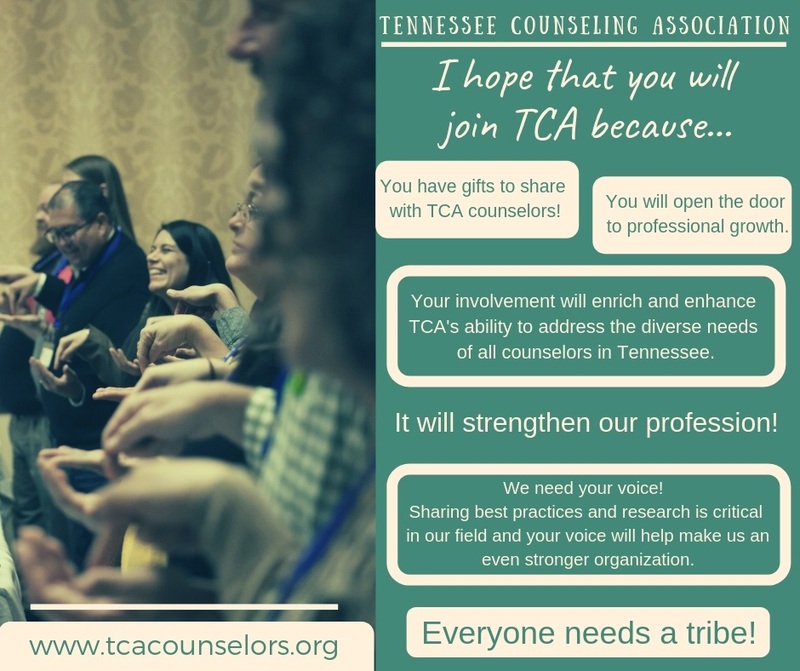 TCA keeps their members engaged by offering them the opportunity to serve in board positions, on committees and advocacy positions. We issue a quarterly newsletter and we publish an annual professional journal online.